Latest news - GDA - Gesamtverband der Aluminiumindustrie e.V. On these pages, GDA offers up-to-date information on the association and interesting facts about aluminium. If you have specific questions relating to our press releases and publications please do not hesitate to contact us. STEP-G takes over the casting business of Aluwerk Hettstedt GmbH, a manufacturer of casted billets and extruded profiles. With this acquisition, STEP-G has taken an important step towards expanding its business in distributing high-quality semi-finished aluminium products. Hilde Merete Aasheim, currently head of Hydro’s Primary Metal business, has been appointed new president and CEO of the company. 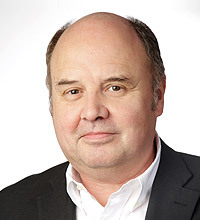 She succeeds Svein Richard Brandtzæg, who has stepped down after ten years. The appointment will be effective 8 May 2019. Aluminium extrusion industry in 2019 – dead slow ahead! Looking back at 2018, the aluminium extrusion industry held its course during the year. However, the speed was by no means steady: at the beginning of the year the captains of industry were shouting “full speed ahead” and then along came the changeover to WLTP in the second half of the year and cries of “stop engines” could be heard! more Aluminium extrusion industry in 2019 – dead slow ahead! On November 25 and 26, 2019 GDA will be holding the European Aluminium Congress 2019 in Düsseldorf on the subject of "Aluminium and Mobility". Effective immediately, subject proposals and presentations can be submitted. So far this year, the development of business activity in the German aluminium sector has been mainly positive. The expectations for H2 are cautiously optimistic but the risks increasing. GDA and Deutsche Aluminium Verpackung Recycling GmbH (DAVR) regard the draft guideline published recently by Stiftung ZSVR (Foundation Central Agency Packaging Register) as a good start for the dual systems to assess whether packaging is suitable for recycling. The official programme for the ALUMINIUM 2018 Conference from 9 - 11 October 2018 in Düsseldorf is now complete. Under the heading "Aluminium - Material for the Future" a total of 40 presentations are planned for the three-day period of the trade fair in the sessions Aluminium Markets, Automotive, Surface, Recycling Technologies and Plant, Processes, Digitalisation.